Corwin Anthony explains why he is a "grace addict" and shares how God sustains him day by day, moment by moment. My name is Corwin Anthony and I am a grace addict. What I mean by this statement is, I am someone who is very much aware of the fact that I am flawed beyond repair and am constantly in need of God’s grace to sustain me moment by moment. You don’t need to know much more about me than this, but for those of you who prefer to know a bit of my background before checking out my blogs, I’ll give you a Reader’s Digest version. 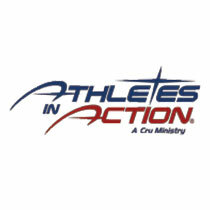 I’ve been on staff with Athletes in Action (AIA) since April, 2000. My first role with AIA was serving as chaplain for the Miami Dolphins. 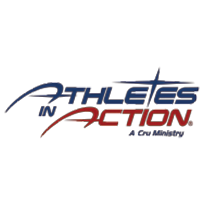 After 10 years in this capacity I was asked to assume the position of AIA pro director and oversee the chaplaincy ministry for professional sports organizations (mainly throughout the NFL). A big part of my job has been to help NFL teams find qualified chaplains to serve the spiritual needs of some of the players and coaches in their organization. Before joining AIA, I worked for Promise Keepers (PK) in Denver. I served in the keyman/ambassador department, helping churches build men’s ministries, and ran the ministry booth tent at over 35 PK conferences. Before that, I enjoyed a very brief stint in the NFL, playing on three different teams as a practice squad member. I never broke into the lineup to play in a regular season game, and yes, I still wish I had achieved that dream. I attended UCLA as a student athlete in the late 80s and that is where my walk with Christ began. Our football team chaplain introduced me to the concept of having a “personal relationship” with Jesus Christ. Learning and living out this concept became much more satisfying and life-changing than being just a regular Sunday morning church attender. You see, I had always thought that being a good guy, going to church regularly and making sure the most important people in my life were proud of me was all I needed to do in order to gain God’s approval. I never fully understood why Christ had to be crucified for me. So I will forever be grateful for the ministry of AIA and the staff members God used to open up my blinded eyes and introduce me to the greatest journey known to man, a journey of which I am still on to this day. That journey is to know and love God more and more and to grow in faithfulness and effectiveness in the building of His kingdom. And I need a lot of grace for the journey. I invite you to join me. Maybe you’ll be able to relate at times to what I am dealing with and receive encouragement to take yet another step on your own journey. As you might imagine, God has done some pretty cool things in and through my life in the world of sports ministry. In Christendom my life would be considered a tremendous success. However, apart from God’s grace and mercy and apart from the redeeming power of Jesus’ life and His blood that was shed for me, all that I have accomplished is meaningless. It is because of this awareness that I have decided to write to you from a place of weakness rather than strength. I have read lots of books and stories of many who have overcome, conquered, been liberated, and are walking from victory to victory. Quite frankly I tire of hearing about what sometimes feels like people bragging about their spiritual success. Maybe, my theology is a little whacked and I need some enlightenment, so I welcome your input, but I want to hear more stories about God’s faithfulness when the going is still tough, when hope is lost, when one is feeling down, discouraged and doubtful. Those are the times when God’s loving care feels the most distant even though biblically and intellectually we know that God is always near. Grace is what I want to write about the most in my blogs because grace is what I need most in my life. If you are willing to let me pull back the curtain a little, I think there is something special God might do for both of us. I will occasionally share about some of the pretty cool ways God is at work in and through our ministry. Lives are being impacted and that makes me smile. More importantly, I believe that makes God smile. However, I will also share about the disappointments that still feel like “disappointments” before they become “opportunities.” You know what, God probably smiles during these times as well, but this time with tears in His eyes. For He knows that our pain is real even though there is a divine purpose for it all. You and I may not fully understand, but neither did Mary and Martha. See the story of Lazarus. I’m sure I’m not the first to feel compelled to share his journey with you. But I want to warn you, I plan to be pretty transparent. I think I need to combat the fear I have of sharing the bad and the ugly along with the good of my journey. And I think I need to do this in real time. So if you don’t mind me being a little more transparent than what you’d expect from a “successful Christian leader,” then I welcome your companionship on my journey. If you don’t mind being less impressed by me and more impressed with Christ and the grace He supplies, then let’s lock arms and walk together. May God meet us and give us His peace along the way.